Exact dates for deer hunting season vary across the United States, but wherever you are, fall is the time of year that deer are most active and most actively hunted. To help you make the most of your wild game, here are a few tips and recommendations (follow the links below) for safely preserving the highest quality venison. – Sanitation begins in the field. Be careful not to contaminate the carcass when field dressing the deer. Cool the meat to 35 to 40 degrees Fahrenheit as quickly as possible. – Proper aging reduces the game taste, tenderizes tissues, and gives the meat better cutting quality. Never age meat at room temperature. Age meat at an air temperature of 40 degrees F or less for no more than 2 to 3 days in a clean, dry, well-ventilated storage facility. If you are making sausage, then aging is not needed. – Refrigerated meat needs to be used within 2 to 3 days. Fat goes rancid quickly, so trim fat and clean cuts. For best quality, separate into meal sized portions (usually about one pound) then either use a vacuum sealer or wrap the meat tightly in waxed paper, plastic freezer wrap, aluminum foil, or plastic freezer storage bags, and if not already sealed then seal in a freezer bag or container. 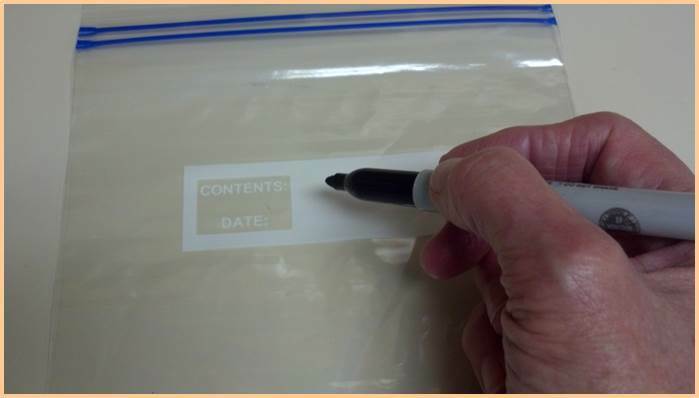 Remember to label and date each package. Freeze quickly at 0 degrees F or below. At this temperature, store venison for up to 9 to 12 months. Information in this document is based on Resources for Home Preserving Venison by Brian Nummer and Proper Care and Handling of Venison from Field to Table by Penn State Cooperative Extension. This entry was posted in Canning, Drying, Food Safety, Freezing, Seasonal Food Tips and tagged curing, jerky, smoking, venison, venison recipes on November 15, 2013 by nchfp.